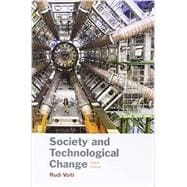 Rudi Volti is Emeritus Professor of Sociology at Pitzer College, and he is a founding member of the program in Science, Technology, and Society of the Claremont Colleges. His books and articles have covered a variety of topics relating to the interaction of technology and society, including technology transfer to East Asia, the history of the engineering profession, the origin of frozen foods, and the history of automobile engines. He currently serves as book review editor for Transfers: The Journal of Interdisciplinary Mobility Studies. His personal encounters with technology center on cars, motorcycles, and model railroading. 10. Technology and Jobs: More of One and Less of the Other? 18. Technology and Its Creators: Who’s in Charge of Whom?